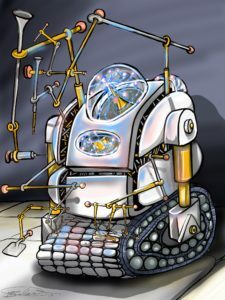 Today’s post features more work by William Salas, whose work you can also see in “Art for Heliopause: Forster.” William provides his own interpretation of my characters, and I love it. 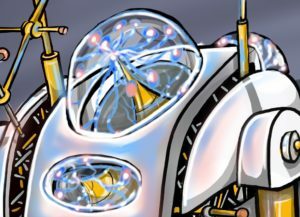 Medic from Heliopause: The Questrison Saga: Book One full pic by Williams Salas Copyright 2019. Meet Medic! Medic is one of the medical bots on board Mandira Research Station, the main location of Heliopause. 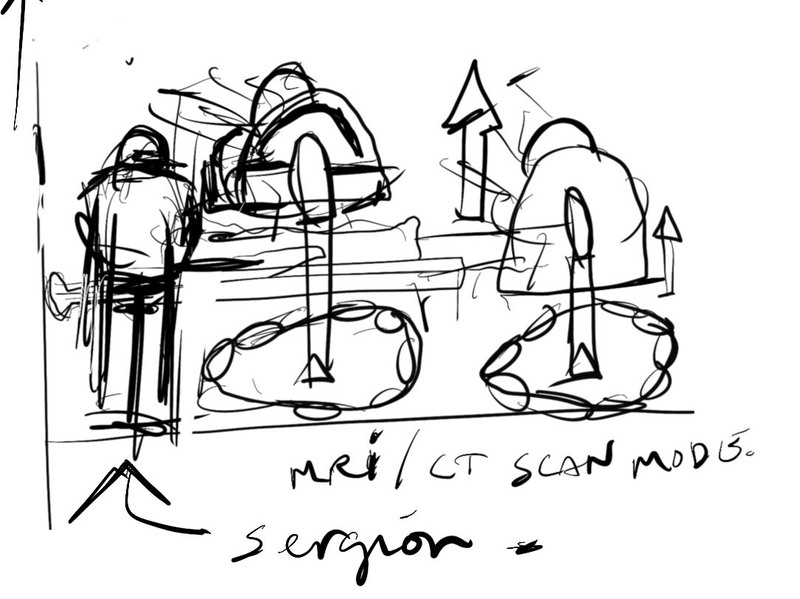 The medical staff of Mandira includes both human doctors and bot assistants. Early in Heliopause, the main character Forster experiences a migraine, a rare thing in the 23rdcentury. Medic is eventually called to help him out. Medic can speak in soothing tones to its patients. Medic has many features that can assist the medical team. 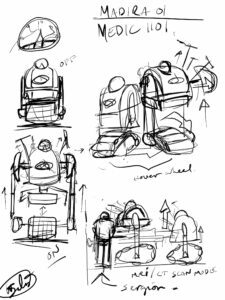 It is a rolling bot, and can arrange itself into a chair-like position should a patient need it to sit, or to be wheeled around. 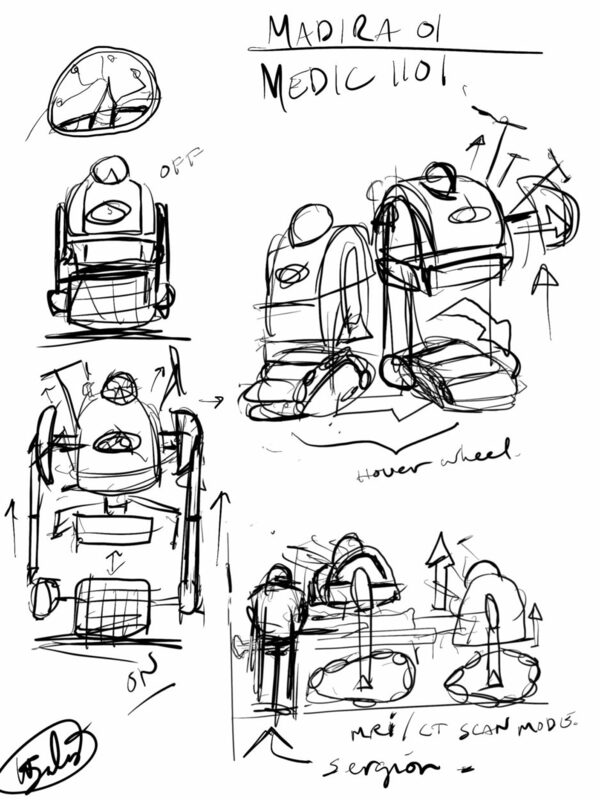 Full concept sketches of Medic from Heliopause: The Questrison Saga: Book One full pic by Williams Salas Copyright 2019. 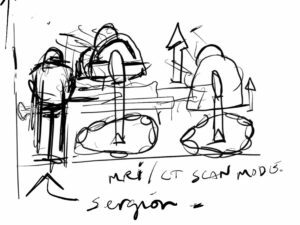 Close-up of concept sketches of Medic from Heliopause: The Questrison Saga: Book One full pic by Williams Salas Copyright 2019. What I really love about this vision of Medic is the whimsy William added. He told me that he drew upon Dr. Seuss as an inspiration. I also thought immediately of Willy Wonka’s contraptions when I saw it. And look at all the useful tools at Medic’s disposal! 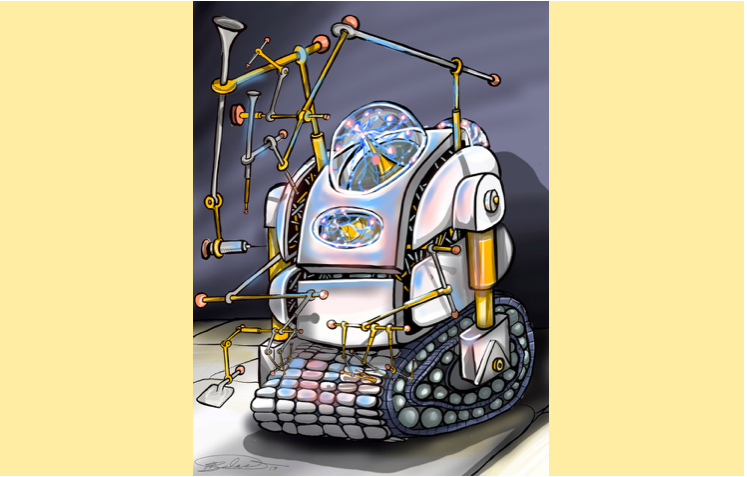 That is one well-equipped bot. 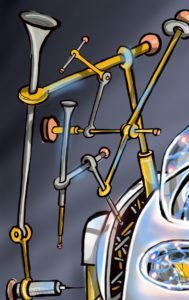 Close-up of upper body tools of Medic from Heliopause: The Questrison Saga: Book One full pic by Williams Salas Copyright 2019. 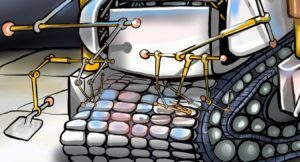 Close-up of lower body tools of Medic from Heliopause: The Questrison Saga: Book One full pic by Williams Salas Copyright 2019. Close-up of plasma domes of Medic from Heliopause: The Questrison Saga: Book One full pic by Williams Salas Copyright 2019. William once again adds to Heliopause by letting his imagination run wild. I’m so thrilled and pleased by this! He expanded on my book description of Medic and conceived something truly delightful. You can see more of William’s work on his website and on Instagram. Image Credit: Medic from Heliopause: The Questrison Saga: Book One by J. Dianne Dotson, Art by William Salas Copyright 2019.